Bloq were appointed by a local developer on their third apartment scheme, which was the conversion of a pub into 4 apartments and a house. 2 of the apartments have their own front door and the cost of the service charge was a concern to purchasers. Fire alarm testing – the British Standard requires weekly testing if an alarm’s fitted. The costs of the above totalled an estimated £1,600 service charge PER YEAR, which would have had to be split between the two apartments that benefited. 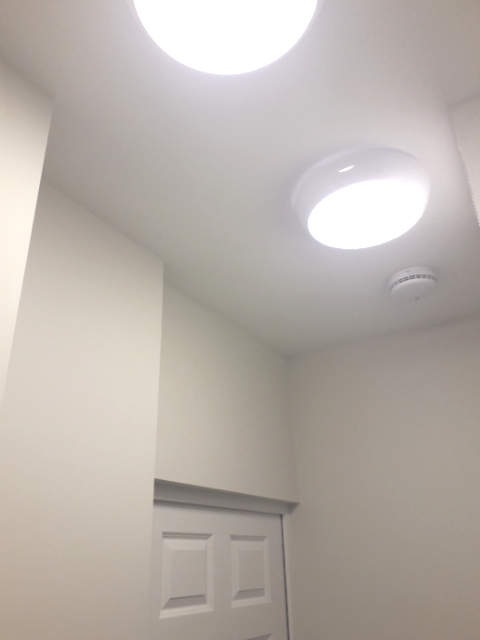 With this feedback, the developer revisited the design and extended the apartments lighting and fire alarms into the space – that’s why there’s two lights and two detectors in the space [pictured]. Bloq will regularly inspect the space and ensure it’s empty of any thing that can cause a problem, but between us we’ve achieved a compliant and safe solution that provides best value to the apartment owners (saving them £800 each per year on-going) and removes a possible hindrance to sale for the Developer. It’s often felt that Block Management is something to call in post-completion when the Developer moves on, but the vast experience Block Managers have of people actually living in these homes is valuable in development design.